We solve rather than sell. We will use our knowledge, tools, experience, morals, and values to help build the right type of financial plan for you and your family. At Wheeler Associates, we work with employers to design the best employee benefits package that works with their budget. 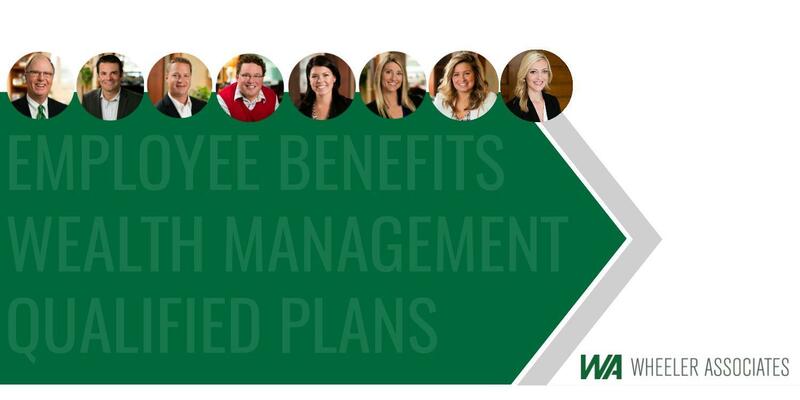 Our team of employee benefits specialists make it a priority to ensure employees understand their benefits. When you partner with Wheeler Associates, you will get personalized consulting from a Qualified Plan Financial Consultant® who is committed to designing the plan that meets your objectives and helps your employees achieve their long-term goals. The Wheeler Associates team prides itself on being active in the community and developing a workplace culture that encourages personal and professional growth, and we believe in having FUN while we work. Fixed insurance products and services offered by Wheeler Associates.